Will Connor McDavid lead the Oilers to a playoff berth (and beyond)? McDavid is marketed as the next Sidney Crosby, but will Edmonton—with its poor development system and defensive support—drain the talents of another first overall draft pick? 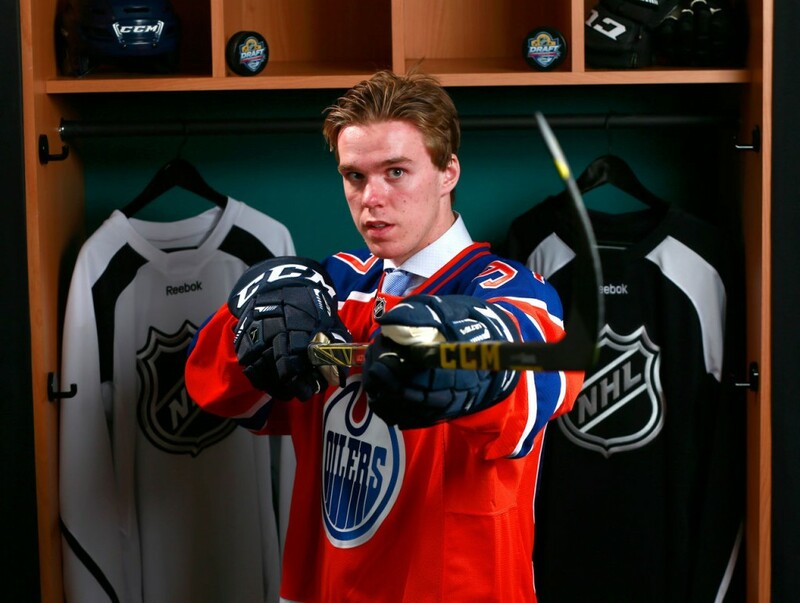 Will McDavid be able to do what Nail Yakupov, Ryan Nugent-Hopkins, and Taylor Hall couldn’t? It took Crosby three full seasons before captaining the Penguins to a championship. How long will it take McDavid? No rush. The bar is low. For now, synergistically, Edmonton as a whole can aim for the next level and make it into the playoffs. Easy. How will three-on-three overtime affect the overall standings? The shootout has not been eliminated, but with three-on-three overtime, it might as well have been. I love this new tie-breaking format, however, I’m disappointed to see the end of four-on-four—if only there was some way to integrate that. Needless to say, with opening the ice for key players and reducing the flip-of-the-coin factor of shootouts we can see more skilled teams earning points. For example last season the Los Angeles Kings won 2 of 10 overtime shootouts. Those lost points could have ultimately gotten the former Stanley Cup champions into the playoffs, where they would have surely dominated. Can coaching changes turn the tides for underachieving teams? Mike Babcock to Toronto, Peter DeBoer to San Jose, Dan Bylsma to Buffalo, and Todd McLellan to Edmonton—these are a few of the high profile coaches standing behind new benches this season. The only reason coaches are moved is because their old teams are failing to achieve certain goals and their new teams have limited options. I don’t believe any coach can singlehandedly turn a franchise around, and as great as their track records are—especially for Babcock and Bylsma—I believe it’ll be a few years before they can make their mark. The thing is, will their new teams be so patient? Will the Western Conference dominate the East again in the finals? For five of the past six years, the winner of the Stanley Cup playoffs has been from the Western Conference. On top of that, those five victories were from two teams, the Los Angeles Kings and the Chicago Blackhawks. These two “dynasty” teams will be hard-pressed to continue this pattern as many of the Eastern contenders have seen improvements. This might be the year the New York Rangers, Pittsburgh Penguins, or Tampa Bay Lightning learn from their tribulations and win four series in a row. There are also a few dark horse contenders with generational players—Alexander Ovechkin and Jonathan Tavares both have optimistic teams ready to face-off—ready to take their legacy to supremacy. This year, I believe the two teams matched in the finals will be turning the page on the Kings’ and Blackhawks’ dominance. ← Why NHL in Vegas is a low-stakes gamble—but is it most deserving?